Today we huddled around the SSB and anxiously waited for 5:00. The Do-dah net was scheduled and we wanted to check out our very freshly completed installation. By freshly, I mean just finished a few minutes earlier. Some of the solder was probably still hot. 5:02-VOICES!!! VOICES !!! I can’t tell you what they said because we were to busy cheering, some were faint and some were clear. We had success! Before we had a chance to stop congratulating our selves, the net was over. In a matter of minutes. Apparently no one had anything to chit chat about. It took me too long to figure out how to program the transmit frequency and we didn’t even get a chance to ask for a radio check. Tomorrow. Today, I am just giddy that for the first time we actually heard a transmission. 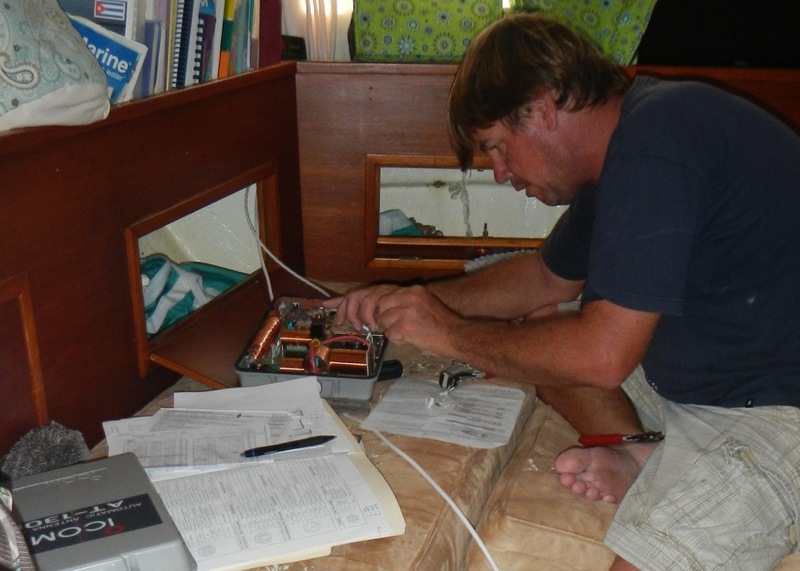 We realize this is everyday stuff for most cruisers but we-did I mention we are giddy? We are giddy-we are so relieved that at least we can hear. This is a big thing for us right now. This morning, I set up the SSB channel to both receive and transmit. I was prepared for the Do-dah net today. Going to get a radio check. Anxiously, we waited for 5:00. VOICES, VOICES!!! (Ok, we are still easily excited by it all.) So then we patiently waited for the chit chat to subside so we could ask for a radio check. And waited. And waited. Not like yesterday. And waited. Lots of chit chat. Waited. Finally, we had our chance. And if we thought we were giddy yesterday-oh, today was a giddy, giddy, happy day. Yes, we realize there is a whole lot more to do. But today, we are satisfied. Celebrated with some jambalaya burgers with red beans and a night off from further boat projects. Congrats to you. 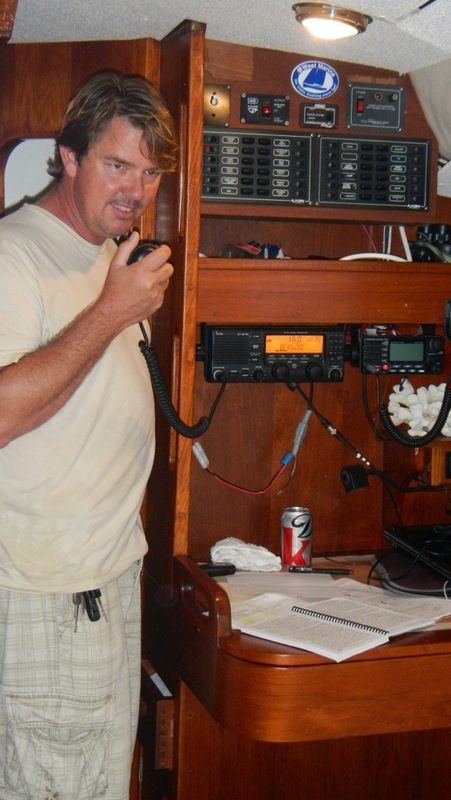 When I first got into Ham Radio and went on an HF band and had lots of voices coming back at me, I really got excited and have had a great time on the radio.